Hasbro's War for Cybertron toys managed to pull something off that's quite rare: release alongside the game. 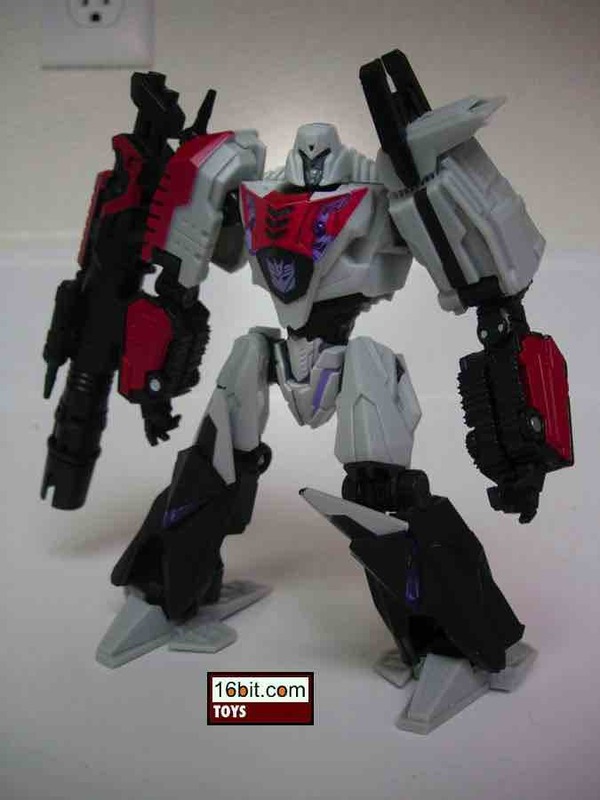 One of the later releases (so far) is Cybertronian Megatron, which (like Cyclonus) has a strong inverse relationship between the quality of the robot and the vehicle. The robot mode of this Megatron is one of Hasbro's best (non-beast), and depending on your opinion of certain releases that means a lot. 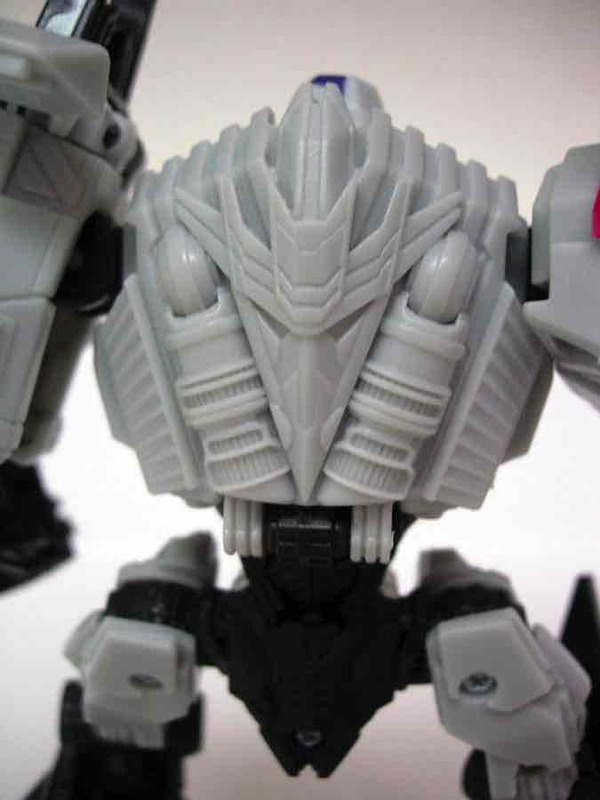 The toy seems heavily inspired by the basic forms of the Transformers Animated line and the detail from the movie lines. Oh, and it's really nice. Standing at about 6-inches tall, this is certainly not the largest Megatron in recent memory. Heck, it's not even the biggest one you're likely to be able to buy right now. This is a positive-- after dozens of new toys, most of which are great, it's nice to see a lot of engineering time going in to making a good toy at a decent, fairly low price point. He has knee joints, ankles which rock back and forth as well as sideways, nifty hands, an unusual transformation, and deco I would describe as "excellent." A little red helps to give him some more character, plus a reminder of the toy that started it all. 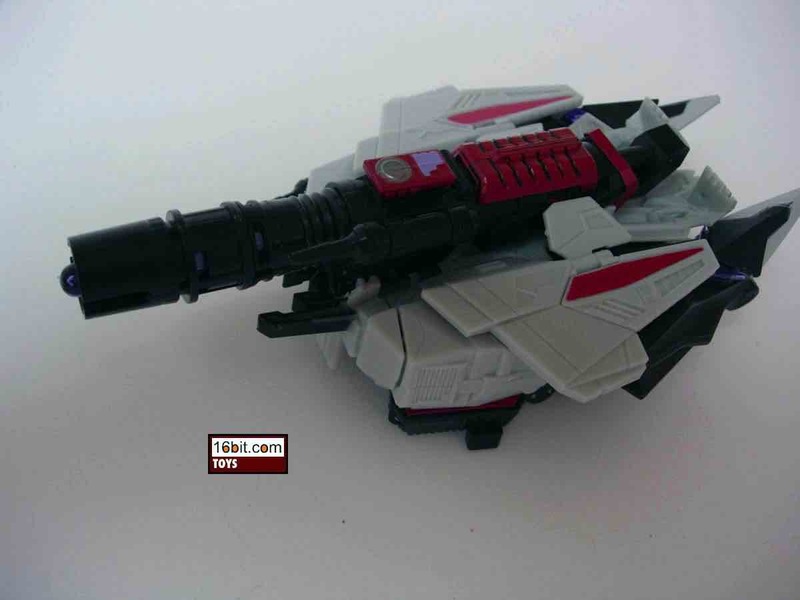 So yes, the robot mode is great-- but how about that tank mode? 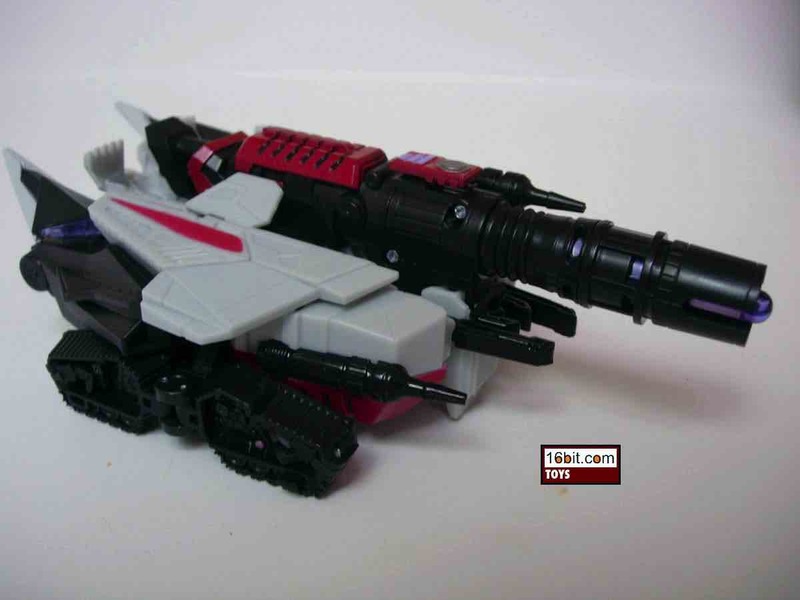 I appreciate the fact they made it so the treads can be a "hover tank" or "regular tank," but the fact is it looks less like a tank and more like a fist with some parts on it. Since most collectors display their Transformers in robot mode, this is probably just fine-- leave him as he came packaged, and you're going to be seeing the best he has to offer. The "hover" treads don't really sit flush against the floor, and the "wheels" are of little value. (I will say the "treaded" configuration is better.) 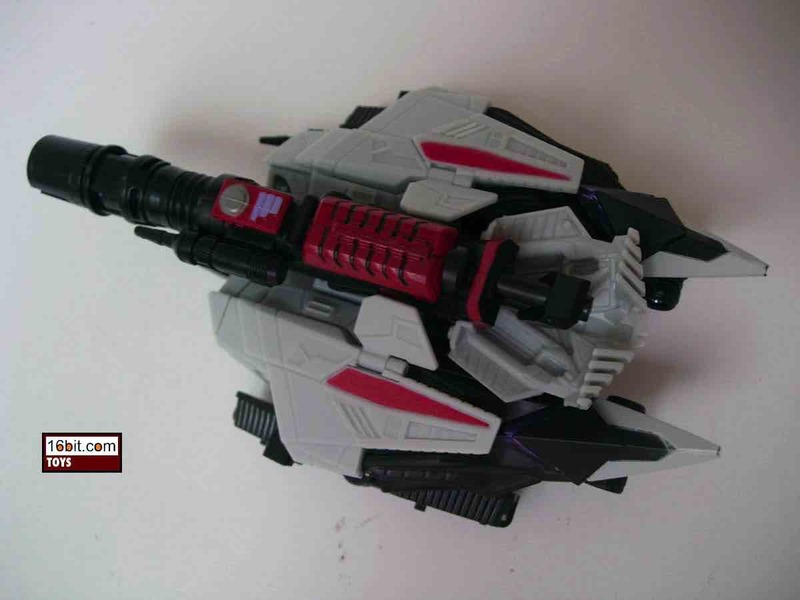 As Megatrons go, since Hasbro will likely never give us a really good cartoon-friendly G1 version again, this should be a good low-cost substitute. 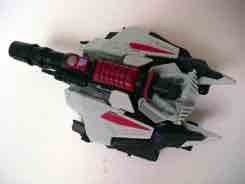 It's also one of the best War for Cybertron toys because it's easy to transform and doesn't look to spindly. As the Aquabats once said, "don't ask why, just buy, buy, buy!"